Do you know your rights as an artist? How to negotiate a contract? Who holds copyright for your work in the public realm? 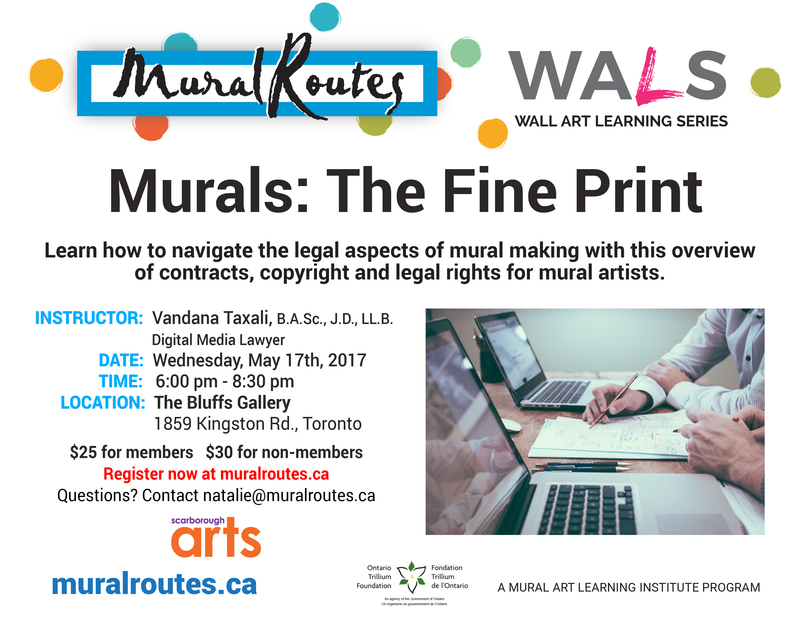 Join us May 17th to review some of the essential fine print of mural-making. Presented in partnership with Scarborough Arts.